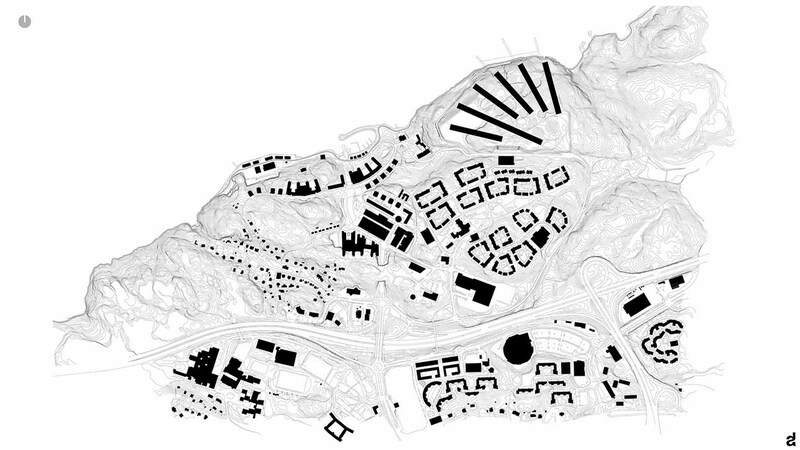 The project for the new social-housing of Nacka, starts from a deep analysis on the relationship between the area in question (BERGS) and the surrounding area. 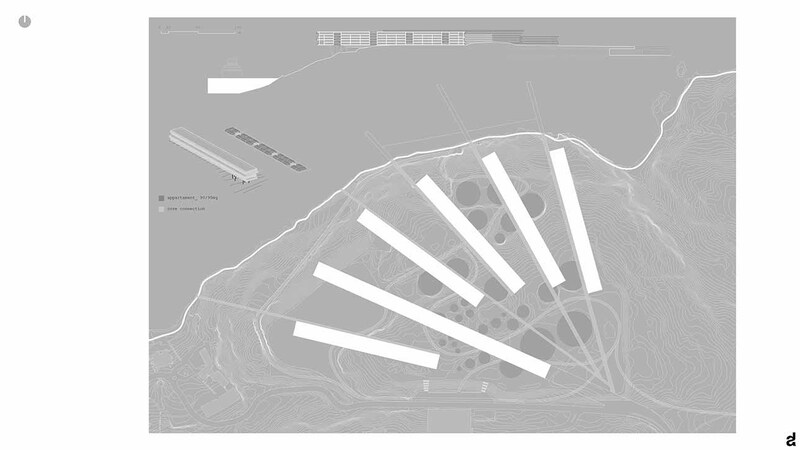 The site is in a condition of special landscape value, due to its positioning on high ground overlooking the sea, with spectacular views of Stockholm and the magnificent nature reserves to the north. the south is related with the road system that connects with the center of Nacka. Considering the unique topography of the land it was thought, for connections to and from the area, to strengthen the only access road that passes tangent to the site and surrounding the area of Jarlaberg. 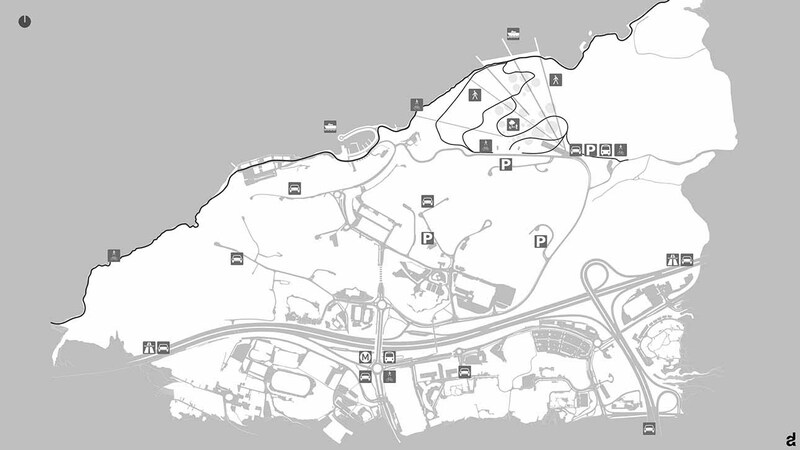 All the roads and side streets, are connected with a very important urban node, which is located at the south of the road 222. 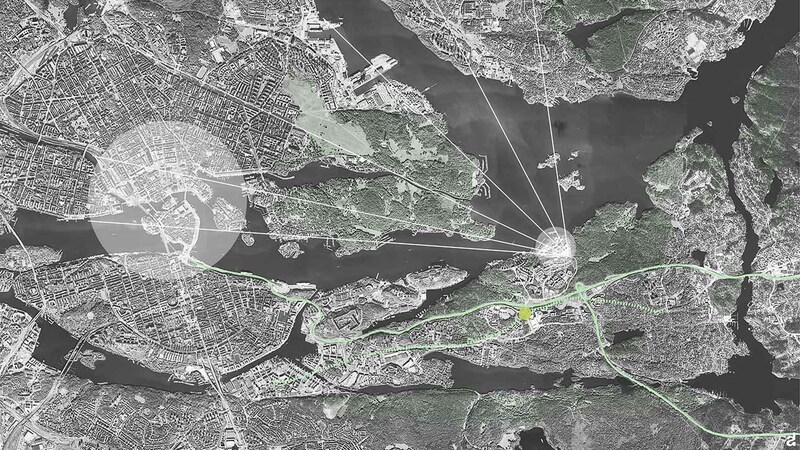 It provides, in the future, the creation of a new metro station, which will link Nacka center with Stockholm. 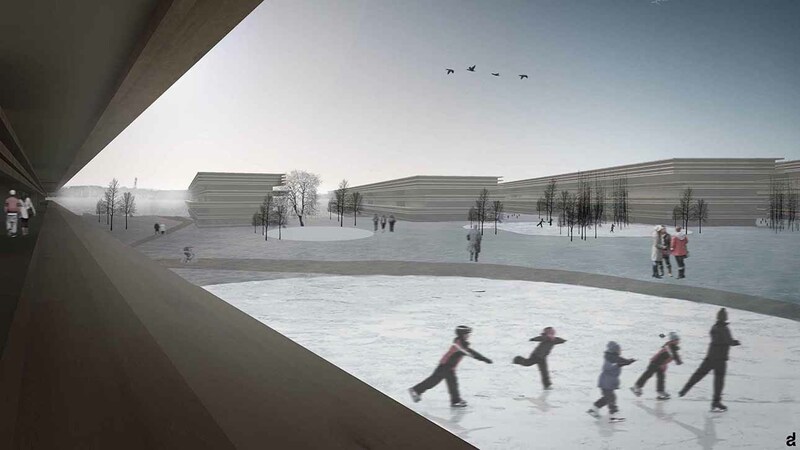 The project involves the intensification of the public transport system, which can easily connect the entire residential area (including Jarlaberg) with the pole mentioned above, avoiding, as much as possible, the use of private cars. In fact, from the road that runs along the area, a large underground ramp becomes the logistics hub for sorting flows of cars, bus stops for public transport and car parks, designed to serve the architecture of the new housing. Consequently the whole system of internal connections to the batch consist of footpaths and cycle-pedestrian to which has been devoted particular attention. In fact, the great gangway on the sea (which we imagine, in the future, completed along the coast to Stockholm) becomes the place where several bicycle and pedestrian paths are grafted and they go back along the slope of the lot and they reach the point of access of residential structures; in a perspective where the mix of public spaces and private, can achieve (by bike) to the individual rooms and the multipurpose functions of the architecture. The area is now occupied by old silos of an oil mill decommissioned, placed on different terraces. 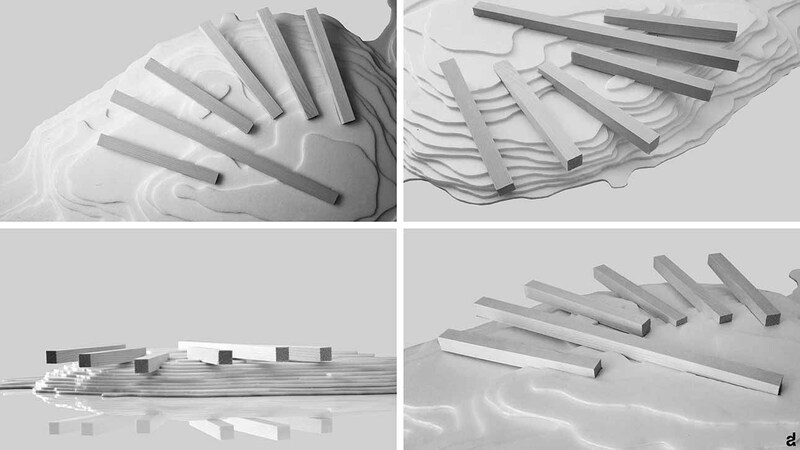 The project idea was to abolish the cylindrical structures factory maintaining the traces and the different connection paths. The footprints left from the silos become outdoor spaces, like squares that can have different functions, such as: gardens, fountains, places for sports and skating, Cave for representations, or simply paved resting places. 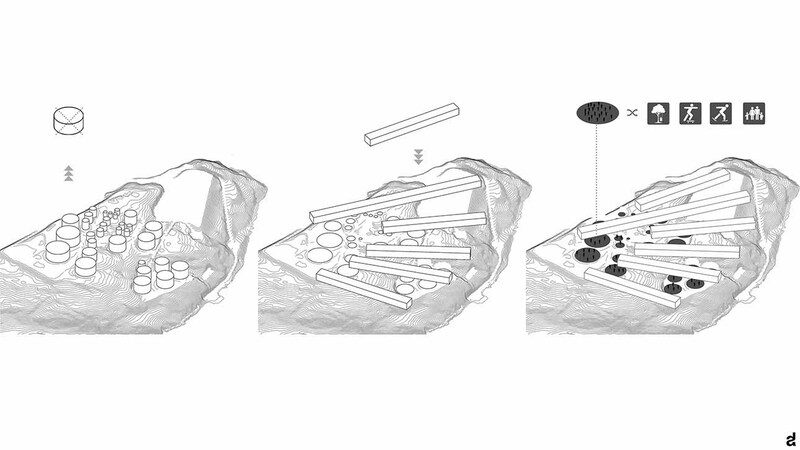 Based on this new structure, left intact as much as possible in its orographic conformation; the six "sticks" of the social housing are positioned at different heights. 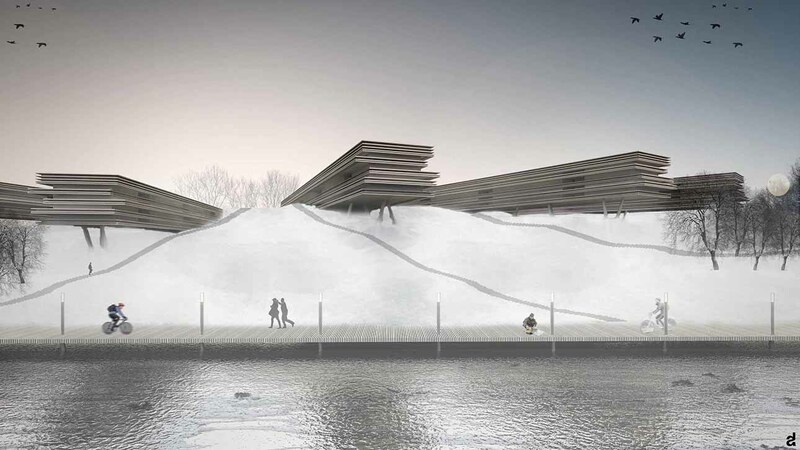 These "open" like a fan to the north, forming optical cones between the architectures, which frame portions of seascape. The alternation of full (buildings, with height always less than 20m) and gaps (public spaces), makes sure that the 150000mq of accommodation planned may have an ongoing relationship with the sites and external connections. 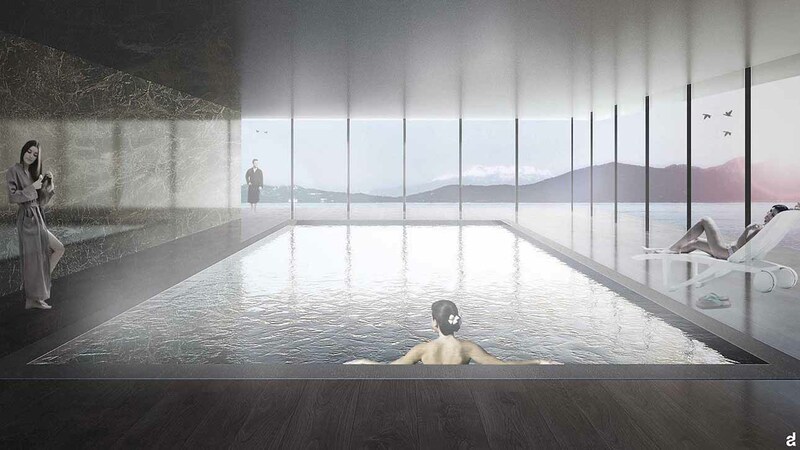 These architectures redesign the sky-line of Bergs, they are positioned toward the sea (for long stretches of their extension) along the unevenness of the cliff.